Laundry plays a direct role in a spa or salon business’ success. Customers at a spa facility are very keen about cleanliness, freshness and the smoothness of their overall experience which means choosing the right commercial laundry equipment is a big decision! From the towels and linens used by your customers, to the piece of cloth on your massage table, everything must be cleaned properly to ensure the best customer experience. One of the biggest concerns for spas and salons with their laundry is to preserve the softness of the fabrics they are washing. Towels make up the larger chunk of laundry for these types of businesses. These can be small to large towels that customers use to dry their faces, place under their heads, and wrap around their bodies. 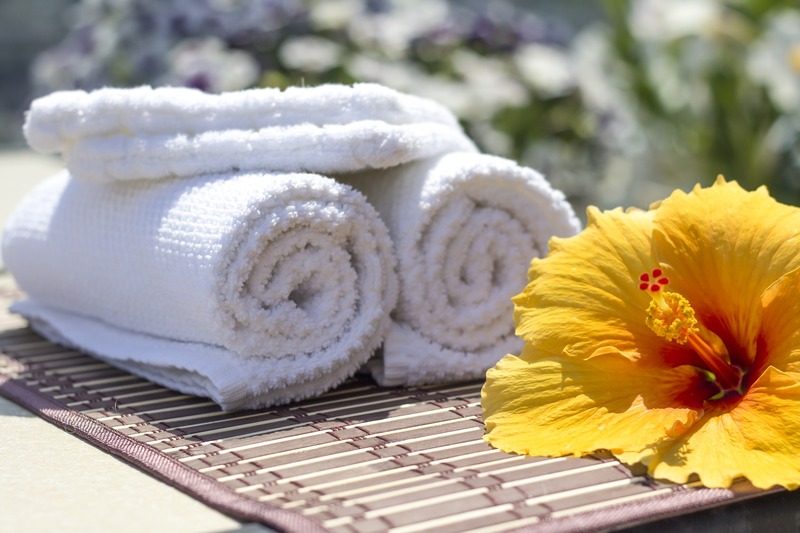 The robes and towels used at spas are much softer than the towels used at homes or fitness clubs. Any mishandling during the laundry process can destroy their soft fiber or make them hard and a discomfort for clients. The towels you use at homes, athletic centers and other facilities contain dirt and sweat mostly. On the other hand, a spa or salon has to wash towels that absorb lotions, oils, creams, gels, etc., which are harder stains and odors to eliminate from fabric. The commonly used white towels make matters worse as stains are much more conspicuous on them. Only the highest grade laundry equipment designed specifically for these challenging tasks can achieve the best results for you. Space is of great importance for salons and spas. People visit a spa for a comforting and memorable experience, and to benefit from your services. Choosing a laundry equipment solution that will fit your space while staying hidden from guests can be hard. Don’t settle for small machines that will not meet your laundry requirements because of restricted space! Instead, look for a space-saving, cost effective and efficient solution that won’t forfeit the quality of the wash.
At OEM Laundry Parts, we fully understand the big challenges you face as the owner of a spa or salon facility. We can make sure that the commercial laundry equipment you buy not only fits perfectly in the space available to you but also provides laundry at blazing fast speeds. Whether you need top load washers, front load washers, stack washers/dryers or some parts for your existing laundry equipment, we have it all for you. OEM Laundry Parts only stocks the most recognized and trusted washers, dryers, folders, and ironers. If you are located in Florida or southern Georgia, call us at (904) 240-0211 to speak with an expert about finding a laundry solution for your needs!